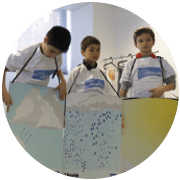 It is a non-profit organization whose objective is to educate young children about the need to protect our environment through the correct use of water. 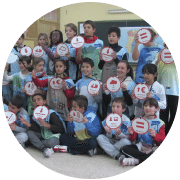 Since 2012 we have given this workshop to more than 100,000 children in educational centres in Barcelona, Madrid and Valencia. It’s better to take a shower than a bath, and it shouldn’t be longer than three minutes. Water plants at night to avoid the evaporation caused by the heat. Don’t use your dishwasher until it is completely full. Free of charge for all schools. Given in three languages: Spanish, Catalan and English. 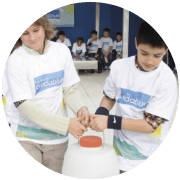 Do you want to come to one of our workshops? We also offer these workshops for businesses, for family events or for worker’s environmental educational initiatives during the day.